Are you looking for an expert witness, financial services firm, accident visualization company or other consultant to help you be successful in your practice? OTLA's Vendor Directory is a great place to start. Note: The Vendor Directory is a paid listing of vendors who are interested in providing a variety of services to OTLA members. The information contained herein is made available for the sole purpose of providing OTLA members with contact information for potential vendors and should not be construed as an endorsement by OTLA with respect to a particular vendor’s qualifications or reputation in any way. OTLA disclaims any and all liability resulting from reliance upon the Vendor Directory and the information contained therein. Members utilizing the directory are cautioned to take all reasonable steps to investigate an expert’s qualifications and reputation prior to, and throughout, any professional expert retainer. Barrier Free Real Estate - Homes, Condos, Investment Properties. Jeffrey Kerr, Broker, RE/MAX, finds post accident, barrier free homes for your clients. He specializes in helping individuals with mobility, cognitive or physical challenges find a home that meets their specific needs. He also authors Real Estate based Housing Options reports. Forensic accounting experts in damage quantification, including economic loss, IRBs, present value, and commercial litigation. Committed to providing exceptional and value-added services, quick turnaround, and local experts in Ottawa, Toronto, Hamilton and Windsor. Hired for our expertise, recommended for our service. ADS is A Different Solution. Founded in 1967, our independent, locally-based accounting firm is celebrating it’s 50th Anniversary. At 80+ professionals, we are large enough to offer a broad range of services. We understand our clients needs, and offer them service and advice that they value, subsequently building long term relationships. Krofchick Valuations is one of Canada’s pre-eminent business valuation firms, specializing in business valuations, investigative accounting, forensic economics, and actuarial services. We provide litigation support services, have appeared as expert witnesses numerous times in support of our opinions and are recognized for our expertise throughout the legal and insurance industry. 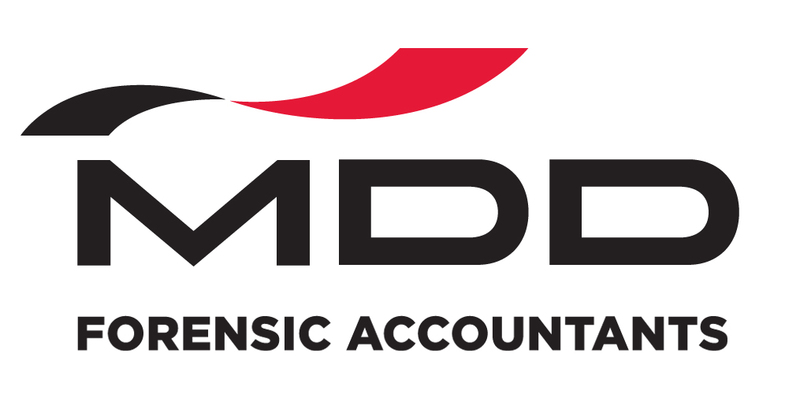 Tracing its roots back to 1933, MDD is one of the world’s top forensic accounting firms specializing in economic damage quantification calculations. Our forensic accountants are exceptionally dedicated, singularly qualified experts with proven track records who provide clear and concise assessments that stand up to scrutiny. Principe Nafekh Ltd. is a litigation and valuation firm focussed on the quantification of economic damages in personal injury cases, including motor vehicle, medical malpractice, other injury and wrongful death. Both partners have been recognized as experts and provided expert witness testimony in numerous cases. RSM is a powerful network of audit, tax and consulting experts with offices all over the world. As an integrated team, we share skills, insight and resources, as well as a client-centric approach that’s based on a deep understanding of your business. This is how we empower you to move forward with confidence and realise your full potential. This is The Power of Being Understood. Medchart is a secure Portal that provides an end-to-end digital service to retrieve client medical records and OHIP summaries. After entering client details and authorizations just once, clerks can retrieve client health records and medical imaging from any healthcare provider in Canada, all in electronic format and without follow-up headaches. 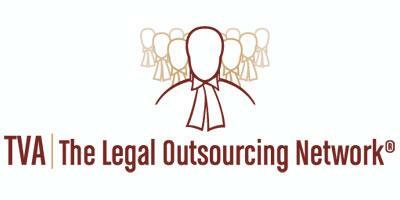 Taran Virtual Associates is The Legal Outsourcing Network®. For 20 years our clients have outsourced their court appearances, discoveries, drafting, document review and research on demand to our network of over 90 contract lawyers throughout Canada. Join the ranks of over 1,200 clients who profit from our experience and rates. Since 2002, BridgePoint* Financial has been the pioneering force in developing Canada’s litigation finance market. We are the only full service provider of innovation funding solutions for Plaintiffs, Lawyers and the Experts involved in advancing legal claims. Our goal is to level the litigation playing field and to protect our clients’ rights to full and fair access to justice. We provide financing for lawyers and plaintiffs through a range of services, including plaintiff loans, law firm financing, and other customized financing arrangements. By relying on data analytics as well as legal and medical expertise, we are able to provide the legal community with unmatched capabilities in litigation finance. Seahold specializes in Plaintiff Financing and has dealt with hundreds of lawyers across Canada since 2000. Our system is designed for simplicity and speed with advances usually delivered within 24 hours. We complete the application forms, offer same day approvals, all at competitive interest rates with no other fees. We complete the application forms, offer same day approvals, all at competitive interest rates and with no other fees. Remove litigation costs uncertainty. TheJudge specialises in arranging Personal Injury, Medical Malpractice, Employment & Commercial litigation programs to mitigate the risks for your client. Strengthen your hand, protect your client. Established in 2000 and with over 30 insurance/finance markets, TheJudge are the most experienced in this highly specialised market. We are a multi-disciplinary, forensic engineering firm providing expert quality investigations of personal injury and product liability claims for the plaintiff bar. Our work provides critical information that you will need to properly litigate your client's claim for personal injury or economic loss arising from MVAs and product failures. MEA Forensic Engineers & Scientists is a multi-disciplinary forensic investigations firm. We investigate transportation crashes, injuries, product failures and property losses for clients across North America. We help clients understand the scientific aspects of their case and provide technical opinions for use in resolving legal disputes. Investment and Insurance solutions exclusively for lawyers, their families and staff ... it's all we do! A not-for-profit organization dedicated to serving the needs of the legal community. Enjoy exclusive access to life, disability, employee benefits insurance as well as an investment program built specifically for you! Lois Warren & Associates Inc.
CBA is a leader in the preparation of Future Care Costing reports. Our consultants are Certified Life Care Planners and possess specialized training and knowledge of the life care planning process, the ability to forecast economic damages, and have been accepted as expert witnesses by the judicial system. Since 1992, CVS has been an experienced provider of quality, objective and defensible independent medical evaluations with a robust roster of well vetted experts throughout Ontario. CVS provides defensible and superior reporting by qualified experts. Services include medico-legal, catastrophic assessments, OCF 18 and OCF-19 form completion and medical malpractice reviews. Connect Experts is Canada's source for medical malpractice and personal injury experts. With hundreds of experts with all specialties across Canada, we have the healthcare experts you need. Our clients include the largest firms in Ontario, sole practitioners and everyone between. We support both you and the expert. Call us. FASTEC (Functional and Soft Tissue Evaluation Centres), A Division of MaxAbilitation Inc.
FASTEC has been serving the legal and insurance industry for 25+ years. We provide comprehensive independent medical legal reports. We have a proven track record in court (Degennaro et al v. Oakville Trafalgar) and a variety of experts to meet YOUR needs and help you obtain the best outcome possible. FunctionAbility is an accredited community based rehabilitation practice that provides qualified and experienced Occupational Therapists, Speech-Language Pathologists and Case Managers to assess and treat clients across the province. We have an in-depth understanding of the auto insurance regulatory environment. Overall, our team of professionals has treated thousands of individuals. Mind Connections provides rehabilitation services to clients with acquired brain injuries, spinal cord injuries and other complex orthopaedic injuries. We have occupational therapists, physiotherapists, personal support workers, rehabilitation support workers, social workers and psychologists. We have clinicians who have 15-20 years of experience in the medical legal field. Rehab First’s large complement of community-based health professionals explains its expansive assessment, treatment and specialty services reach. Services are tailored to the requirements of SABS, LTD and negligence cases, and are designed to cover the entire case life cycle, from point of referral to case closure. Baxter Structures was founded in 1978 and is Canada's first family owned and operated structured settlement firm. Baxter Structures remains an industry leader through exemplary support and service which guarantees that every client is given the means to move on. Consultancy and advisory services to insurance company and legal representatives on settling damage claims. The oldest and largest structured settlement firm in Canada. With credibility on both sides of the negotiating table, our size and geographic scope, we provide a true “value-added” service to our clients. Our clients access expertise from the most qualified claims, legal and accident benefit professionals in the industry. Filevine is cloud-based case management with clean, intuitive design. It organizes and coordinates all aspects of a legal practice. With task management tools, shared calendars, settlement calculators, and deadline chains, Filevine automates each stage of the workflow to allow attorneys to handle higher caseloads with greater efficiency. LexCloud.ca’s Cloud Desktop™ is the ideal way to eliminate the hassles of managing on-site IT. Imagine: no more backups to manage, security updates to worry about or time wasted on server downtime. IT that just works – every time, anywhere, on any device. All for a simple monthly fee.